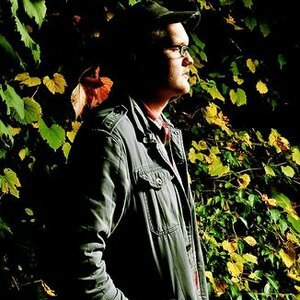 Matt Jones is an Ypsilanti, Michigan based artist and multi-instrumentalist who has shared the stage with everyone from Margot and the Nuclear So & Sos to Emmylou Harris. Growing up in a gritty factory town in southeast Michigan, Jones developed a musical talent at a young age, shaped by his family's history. His grandparents once traveled as circus musicians and his ancestors played music on civil war front lines. Yet, the music that resonated with Jones most was ragtime, thus, his first instrument was not the guitar but the piano. Years later, he has managed to craft a unique and haunting genre all his own by using ragtime rhythm structures and seamlessly weaving instruments like accordion and pennywhistle into his captivating songs. Deftly honing in on forgotten histories, gleaning from destructive pasts, and steeped in melancholy - Jones is able to take songs that are as powerful and moving played solo or fully orchestrated (he typically varies between a trio with violin and cello, and a lush ten-piece ensemble), and present them with a power reminiscent of a gramophone recording from decades ago. ?The Black Path', Jones' debut solo album with producer Jim Roll (Chris Bathgate, Breathe Owl Breathe), is his own means of therapy as he reflects upon how his memories and experiences have shaped him. Jones stands with one foot in a history akin to the Smithsonian's Folkways tradition yet with another foot outstretched in the modern, darkened, beating heart of today, yet manages not to falter in the least bridging these gaping distances. On this album, he struggles to deal with how memories have distorted his view of the past and therefore may threaten to distort his current reality.